SSiMS talk on "Islamic Structures of Science and Society"
Abstract: I will argue that an analysis of the relationship between science and Islam can provide a fresh lens through which to look at the functioning of modern political Islam and contemporary Muslim societies. 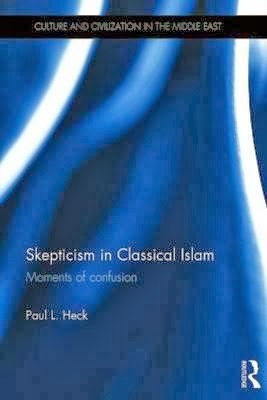 In analysing contemporary critiques of science in the Muslim world, echoes with the situation under totalitarian regimes were hard to ignore, most obviously in: 1) treatment of dissenters; 2) other forms of political interference; 3) a creation and defence of an alternative scientific epistemology; and 4) a definition of, and attacks on, an enemy. This last gives an insight into political and social attitudes more broadly. The definition of the enemy under Soviet theory was class-based (bourgeois or capitalist); under the Nazis it was race-based (non-Aryan and in particular Jewish); in certain Islamic science discourses today it is geopolitical (Western science, often conflated with “modern”). There have been various characterisations given of “Western” science in the Muslim world, and a variety of responses, from total rejection to complete assimilation. But even within societies creating an Islamic epistemology for science, scientists play a high profile role, including within extremist movements, both violent and non-violent. For example, the Muslim Brotherhood appointed an engineer to be Prime Minister, and engineers are vastly over-represented in jihadist attacks in the past 20 years. This ambivalence to science can be seen as one instance of the ambivalence to Western culture more generally. Biographical statement: Lydia Wilson is the Mellon postdoctoral fellow at CUNY Graduate Center. After completing a PhD in medieval Arabic philosophy (University of Cambridge, UK), she shifted to the modern Middle East, building on previous journalism experience to pursue anthropological research, particularly anthropology of conflict. Lydia reviews regularly for the Times Literary Supplement, and edits the Cambridge Literary Review.